Place scapes, mint leaves and pea shoots in a food processor. Slowly add olive oil, pulsing as you go, until mixture forms a smooth paste. Season with sea salt. Cook pasta according to package instructions. Add peas during the last minute or two of cooking. Remove from heat and drain. 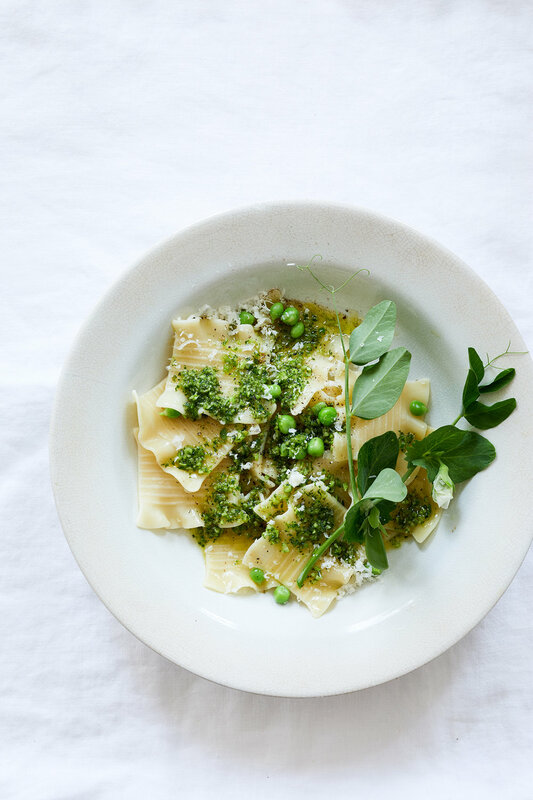 Toss hot pasta with garlic scape pesto. Serve with pea shoots, parmesan and an extra drizzle of olive oil. Summertime so close now we can taste it!